My kids love almonds. Come to think of it, they go ‘nuts’ for any type of nut really. I always keep almonds stocked in the pantry and they’re constantly sneaking handfuls here and there from the 3 lb bag. They think they’re being sneaky. Naturally, I don’t dissuade them of their ideas. I can’t have them thinking that I actually want them eating moderately healthy snacks, or worse that they like them. Plain-Jane almonds? How boring. 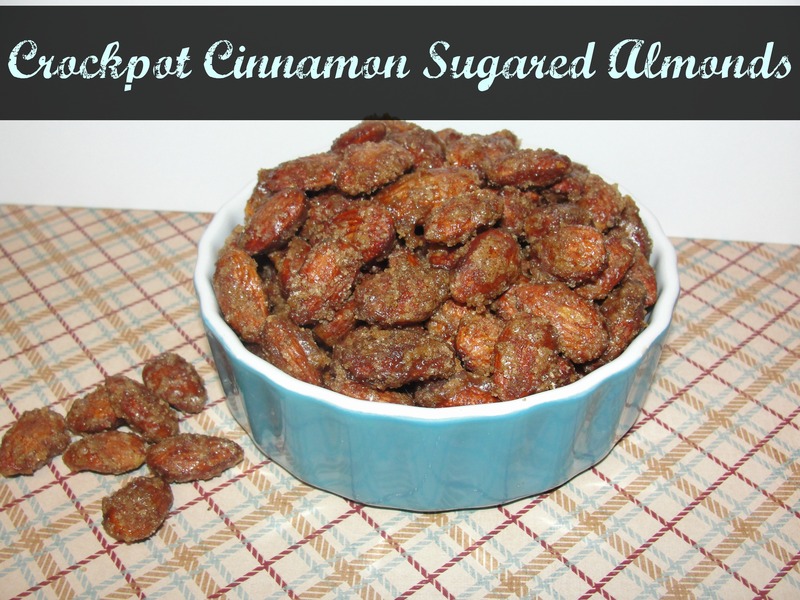 Imagine their surprise and delight when they came home from school to a batch of candied almonds to munch on during homework time. They loved these. I usually get the eye roll whenever I mention the healthy benefits of anything to my boys. Like, really Mom? We just want to eat. Don’t ruin it by making it good for us! I refrained from mentioning that almonds are ‘good for them’ as the crunched away on ‘candy’. My house smelled like fall the entire day after making these. I just couldn’t resist the temptation to sample a few while they were still cooling and let me tell you, they were de-lish when still warm! Eat them out of a bag for a quick snack or sprinkle a few over a scoop of vanilla ice cream for a truly delicious dessert. I ended up taking the leftovers on a trip out of town and sharing them with our entire family to rave reviews from all! It doesn’t get more tried and true than that from a family full of Italians. In a bowl, whisk egg and vanilla until it begins to get a little frothy. Stir in your almonds until the are all coated in the mixture. In a separate bowl, mix together the sugar, brown sugar, cinnamon, and salt. Add Almonds to cinnamon mixture and toss until completely coated. Spray your crock pot with non stick cooking spray. Cook the almonds on high for two hours stirring every 20 minutes. After 2 hours pour your water over the almonds and mix very well to make sure there are no clumps! Reduce heat to low and cook for one more hour, still stirring every 20 minutes. Line a cookie sheet with parchment paper and evenly spread out the almonds to cool and dry on the paper. P.S. Christmas is coming and these make delicious gifts for neighbors, teachers, even family dinners!